Scientists have shown that a very small protein we have in our bodies can dramatically reduce the ability of the Zika virus to infect human and mouse cells, and in some cases can also prevent Zika from killing our cells. The findings, about interferon-induced protein 3 (IFITM3), were published in the journal Cell Reports. Previous studies by Brass and Paul Kellam, PhD, a professor at the Wellcome Trust Sanger Institute in the UK, have shown that people who have a genetic variant, or allele, of the IFITM3 gene are more susceptible to the development of severe influenza. While relatively rare in people of European descent, this IFITM3 variant is more common in Asia and Micronesia. 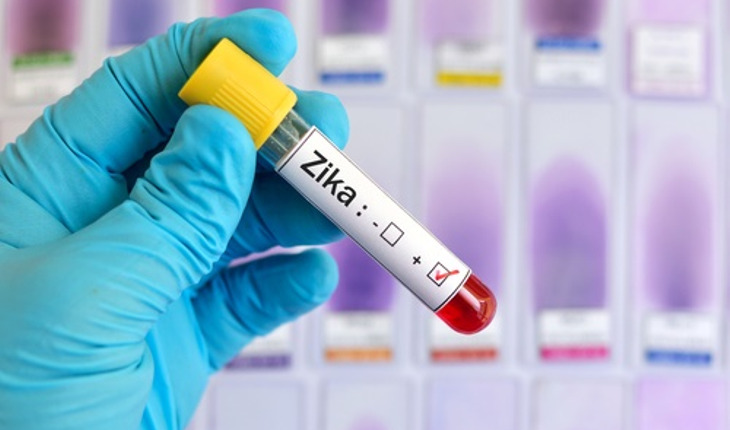 The current study suggests that it will be important to test whether this allele might contribute to the risk of more severe Zika virus infections and birth defects, according to Brass. An expert in flaviviruses, a family of viruses transmitted by mosquitos that includes Zika, yellow fever, dengue and West Nile, Brass has developed a suite of genomic tools to probe how human cells respond to pathogens and how these invaders exploit host cell factors and proteins to replicate. The mosquito-transmitted Zika virus typically causes relatively mild symptoms in infected adults. Prior to outbreaks of the virus in Micronesia and Southeast Asia in 2007, relatively few human cases had been reported. An ongoing epidemic of Zika virus began in early 2015 in Brazil and with it new evidence emerged that Zika virus infection of women during early pregnancy can result in microcephaly, a severe brain defect in infants. There is no treatment for Zika virus infection. The best way to prevent the infection is to limit potential exposure to the infected mosquitos that carry the disease. As summer heats up and mosquito season gets under way, the World Health Organization expects the virus to spread throughout much of the Americas including parts of the United States. Found in nearly all human cells, IFITM3 works to alter the cell membrane, making it more difficult for viruses to penetrate this outer defense. The Brass lab found that when IFITM3 levels are low, Zika virus can more readily infiltrate into the cell interior and cause infection. Conversely, they discovered that when IFITM3 is abundant and on guard, it strongly prevents Zika virus from reaching the interior of the cell and so blocks its infection. “In effect, we see that IFITM3 allows our cells to swallow up and quarantine the virus thereby stopping their own infection, and also the infection of neighboring cells” said George Savidis, a research associate in the Brass lab and the first author of the study. “We think this also reduces the levels of cell death caused by Zika virus. The next step for Brass and his collaborators, including Sharone Green, MD, associate professor of medicine and a flavivirus expert, is to test these findings in mice that are IFITM3-deficient to see whether these animals are more susceptible to the effects of Zika virus infection. The Brass lab is also searching for small molecules that can boost the levels, and hopefully the anti-viral actions, of IFITM3. Brass believes that such molecules could be developed into therapies to treat or protect us from Zika virus, as well as a growing list of other dangerous viruses.